Meet The Newest Members of Our Beard Care Family! 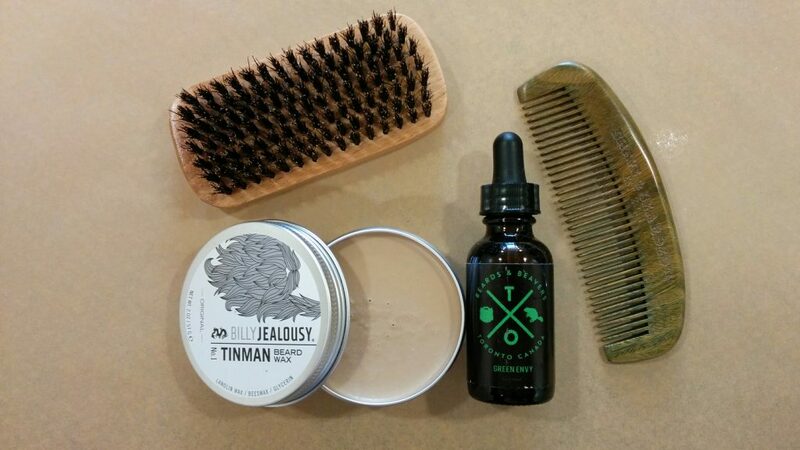 Introducing two new additions to our beard care lineup: Beards & Beavers “Green Envy” beard oil with notes of Italian Bergamot and Lemon AND Billy Jealousy’s “Tin Man” beard wax (perfect for guys who need more hold than a traditional beard balm provides). Both of these items are selling quickly, so we apologize in advance if we sell out before our next batch of orders arrives. Cheers!